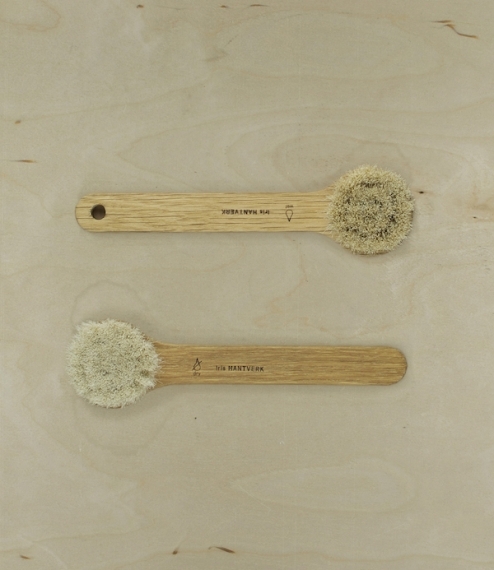 Hand made face brushes of either soft white goat-hair or golden horse-hair stitched into oiled European oak stocks. 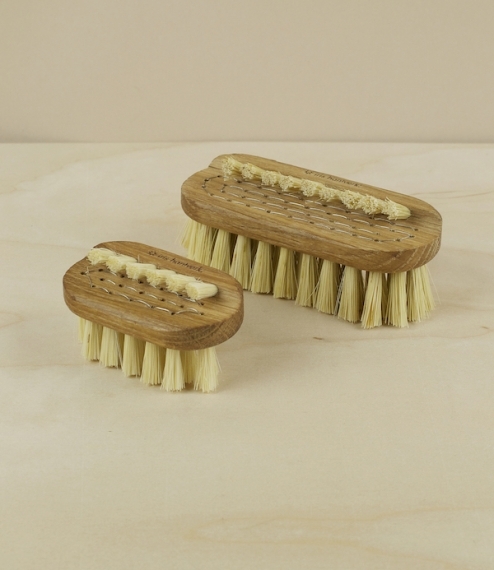 The goat-hair brush is for dry use, to gently cleanse and massage the face, stimulating blood flow and gently removing dead skin cells, whilst the horse-hair brush is intended for wet, slightly more vigorous and refreshing use. 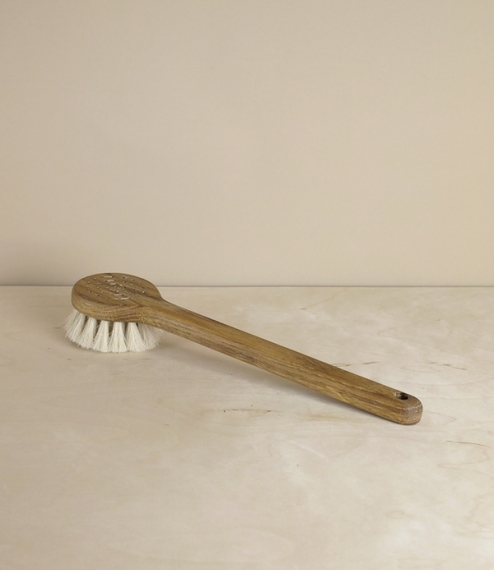 Made by the the company of Iris Hantverk whose workshops in Sweden and Estonia were founded to provide traditional handcraft employment for the visually impaired, and which remains to this day one of the few, and finer sources of higher quality stitched brushes. About 17.5cm in length, with a head of 5cm diameter.